Realty agents have clung to their traditional 6% fee structure through boom and bust, insisting that 6% of the home seller’s price is fair, since agents share the risk. They don’t get paid unless the house sells—that is, unless they work with Koenig & Strey, a full-service Chicago agency that recently announced it will now be having its fee and commission, too. This fee grab is actually good news for home buyers and sellers, because it signals a newfound willingness to consider alternatives to the 6% commission. Below are more details on how to make this work for you. But first, here’s why alternatives to the 6% fee structure are so important—that 6% commission could wipe out all of your equity. If you bought your house during the real estate boom—from 2002 through 2007—the subsequent crash likely wiped out all the appreciation you briefly enjoyed. 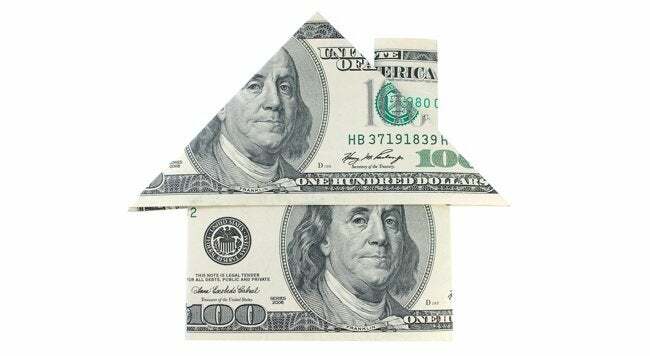 (Nationally, home values have dropped 34% in the past ten years.) That 6% commission takes what shreds of equity you might have left. Why should an agent get more of your equity than you do? That’s why the real estate industry’s slow awakening to alternative compensation is so important. Koenig & Strey’s pay-to-play ploy is new, but it does open the door for discussion with agents who want to list your home (i.e., the sell-side agent) or represent you if you are buying (i.e., the buy-side agent). There’s plenty of wiggle room packed into that 6%: it is split evenly amongst the buyer’s agent, the seller’s agent, the buyer’s broker and the seller’s broker. 1. If you are buying, offer the buyer’s agent a flat fee to represent you and insist that the 3% buy-side commission be rebated to you. 2. If you are selling, offer the buyer’s agent the full 3% normally allotted for the buy side, plus guarantee that you will have that same agent represent you when you buy your own house, thus bringing another 3% to that agent—6% total. Don’t use an agent to sell the house and keep the 3% sell-side commission. 3. List with a discount agency, but read the fine print carefully. Every discount agency defines its services and fees on its own—there are no standard parameters for reduced fees and reduced services. 4. Go with a ‘by owner’ service, such as U S Realty. You’ll need to hire a real estate lawyer to help with the paperwork, but you’ll have full control over the sell-side commission, and can set the commission you’ll pay to the buyer’s agent. 5. Get the house on the multiple listing service. The local MLS, which feeds into national listing supersites like Realtor.com, Trulia and Zillow, is only open to agents, so you have to use a service to get your house listed. Fees vary according to how many additional services the agent packs into your agreement, so shop around. Agents will tell you that they are worth the commission they charge, but their model became the norm over decades of steadily rising equity. They are more willing to bargain than they want to let on.